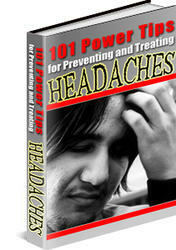 Headache, fatigue, and lethargy may rarely occur during isotretinoin therapy. However, if headaches become persistent and are associated with nausea, vomiting, and visual changes, the drug should be discontinued immediately and pseudotumor cerebri should be excluded. Since tetracycline, doxycycline, and minocycline may increase the risk of intracranial hypertension, the concomitant use of these drugs and isotretinoin should be avoided. There is a single case report of pseudotumor cerebri in an adult patient receiving acitretin without concomitant antibiotic treatment. Myalgias, sometimes associated with elevated creatinine phosphokinase levels, occur in up to 15% of patients taking isotretinoin, particularly in physically active patients. It has been reported that the elevated creatinine phosphokinase levels return to normal within 2-4 weeks. In general, arthralgias are rarely seen in patients treated with retinoids, and they disappear after discontinuation of therapy. However, arthralgias and back pain in adolescents taking isotretinoin have been observed, although the cause of the back pain is unknown (Brecher and Orlow 2003, Ellis and Krach 2001, Peck and DiGiovanna 1999).